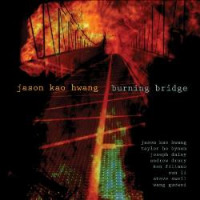 Edge is the self-titled debut of violinist Jason Kao Hwang's new all-star quartet. Joined by cornetist Taylor Ho Bynum (Fully Celebrated Orchestra, Anthony Braxton, Cecil Taylor), bassist Ken Filiano and experimental percussionist Andrew Drury, Hwang sets aside his seminal, decade-old Far East Side Band for this new venture. 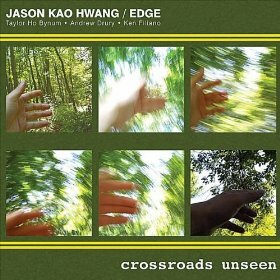 Exploring the edges of different genres (hence the name) with subtle East Asian touches, Edge draws inspiration from a number of divergent styles on the album's four intricate long-form pieces. With a driving pulse and a string of thematically connected solos, "No Myth" opens the album, introducing each member of the quartet in turn. After an opening fanfare, Filiano bows a sinewy, modal ostinato over Drury's roiling polyrhythms, while Hwang reveals a singing, folksy tone that's rich in texture. Bynum's splintery arpeggios thread their way through this sonic tapestry before Filiano plucks out a pneumatic bass solo. Drury's own melodic solo, full of snare rolls and tonal variations, invokes none other than a young Max Roach before the piece comes to a unified close. "Threads" utilizes sporadic, AACM-inspired textural exploration and minimal lyric refrains before erupting into a propulsive vamp that builds in intensity until the rapturous unison finale. Drury's clattering junk percussion impressionism yields a militaristic march pattern supported by Filiano's regimented arco bass drone. 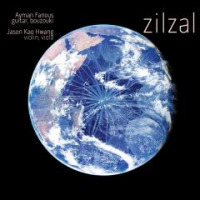 Hwang's searing Asiatic tone cuts effortlessly through this miasma, underscored by deep, menacing undulations from Bynum's ghostly overblown flugelhorn. Haunting and otherworldly, Bynum's lower register moaning, Hwang's acerbic, soaring solo and the rhythm section's furious pummeling commingle in primal, ritualistic furor. "Parallel Meditations" combines angular post bop riffing with a jaunty bounce, inspiring spirited solos from Hwang and Bynum. Bynum has demonstrated his favored sideman status with masters like Braxton and Taylor by combining a technique of unparalleled proficiency with an exploratory edge that recalls Lester Bowie and Don Cherry at their most outré. Bursting at the seams, Bynum buzzes out raspy, fragmented rejoinders from his cornet over the quickening pace, complementing Hwang's visceral fretwork and lyrical panache. Closing with "Grassy Hills," the quartet eases into a languid, restrained mood with gentle, swinging mellifluousness and dulcet tones. In stark contrast to the rest of the set, this coda closes the album on a serene, meditative note. 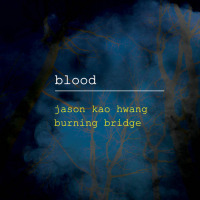 Hwang's writing embraces freewheeling improvisation and rigid through-written composition in equal measure, allowing ample room for interpretation. Balancing intuitive call and response ensemble interplay with rousing chart-driven passages, Edge is an avant-garde thrill ride, and a high water mark in Hwang's already impressive discography. Track Listing: No Myth; Threads; Parallel Meditations; Grassy Hills. 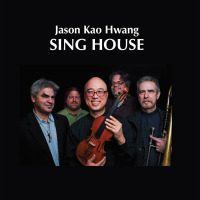 Personnel: Jason Kao Hwang: composer, violin; Taylor Ho Bynum: cornet; Andrew Drury: percussion; Ken Filiano: bass.